Happy Easter to all those who celebrate it.. I hope you all had a great weekend.. I thought of continuing with my Inglot purchases..
Here’s some other products I purchased during my recent Inglot haul.. 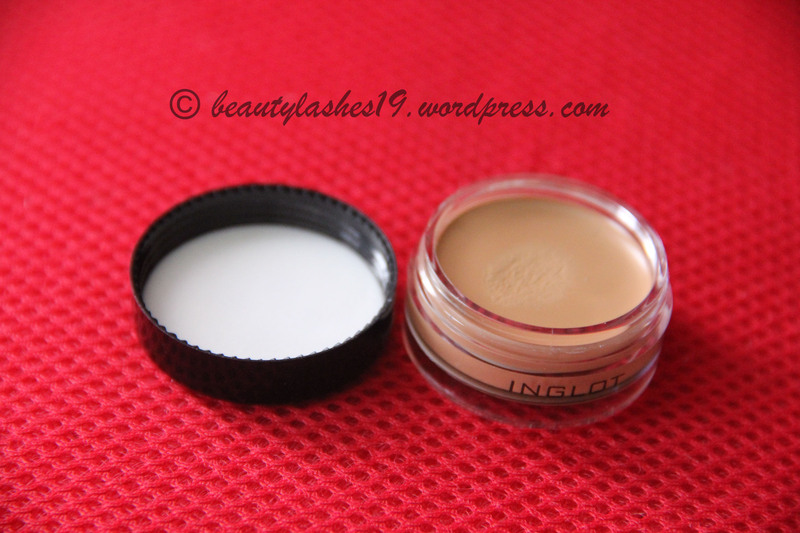 This concealer has a very creamy consistency and retails for USD $10.00.. They have 8 shades to choose from including a green corrector.. this was the shade closest to my skin tone (NC 40-42 in MAC)… I have been using this as an under eye concealer.. It stays put ok for some time if I set it with powder but it does crease on me.. 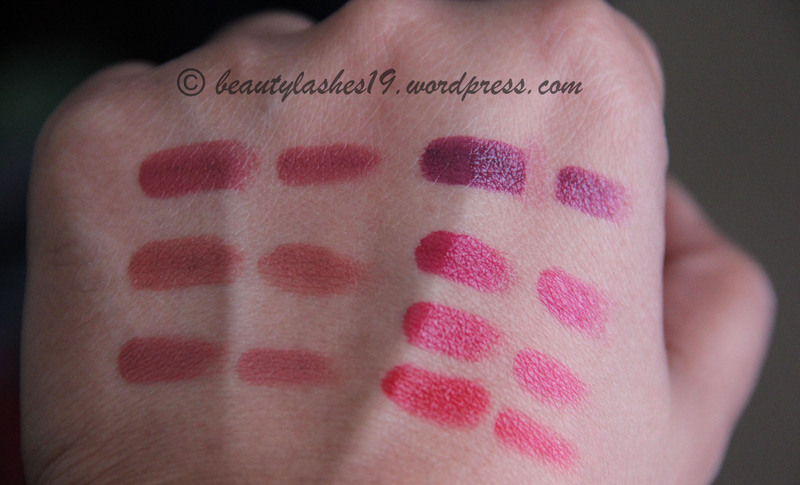 I would not recommend it for blemishes since this has a very creamy consistency and can easily slide off the face especially for oily-combination skin gals..
Freedom system lipsticks (L to R) : #39, #61 and #60 on top row; #63, #83, #49 and #88 on bottom row. These pictures are taken in broad daylight.. One can appreciate the smooth texture of these lipsticks from these pictures.. 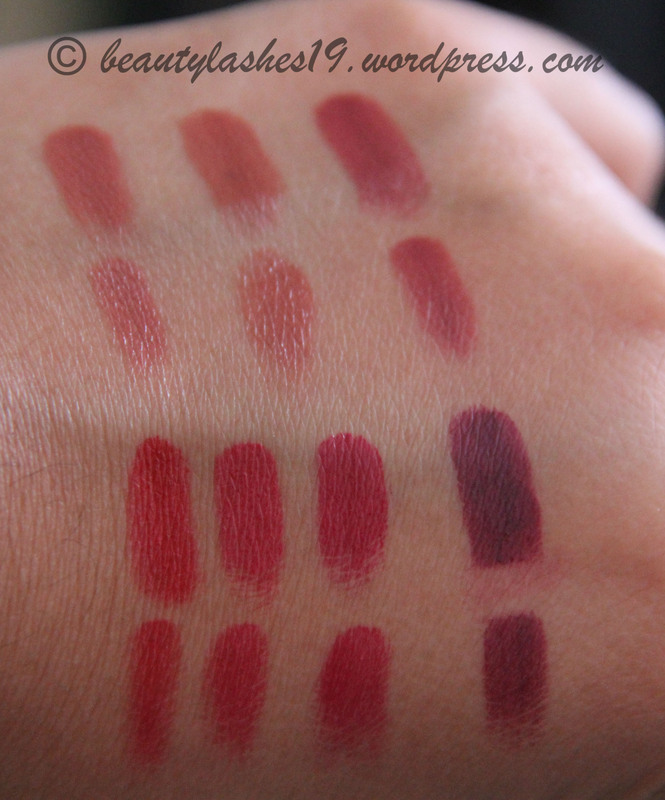 The top swatch for each color is intense and the bottom swatch is with a lighter hand.. These pictures are in indoor light.. 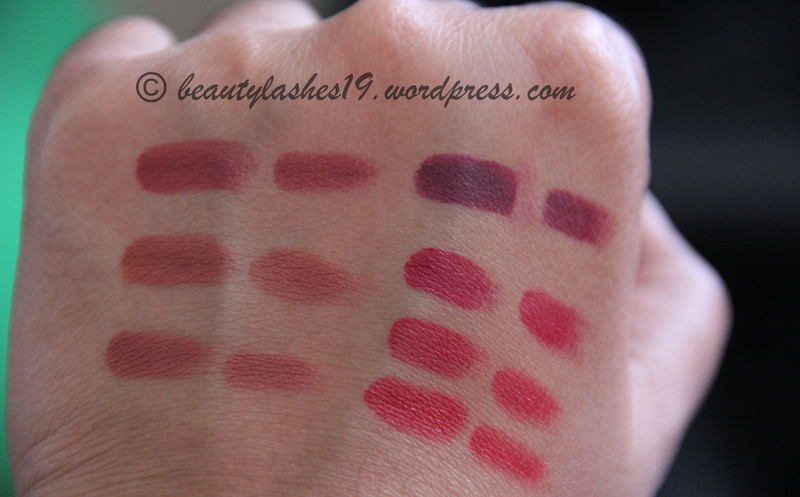 The top swatch for each color is intense and the bottom swatch is with a lighter hand.. 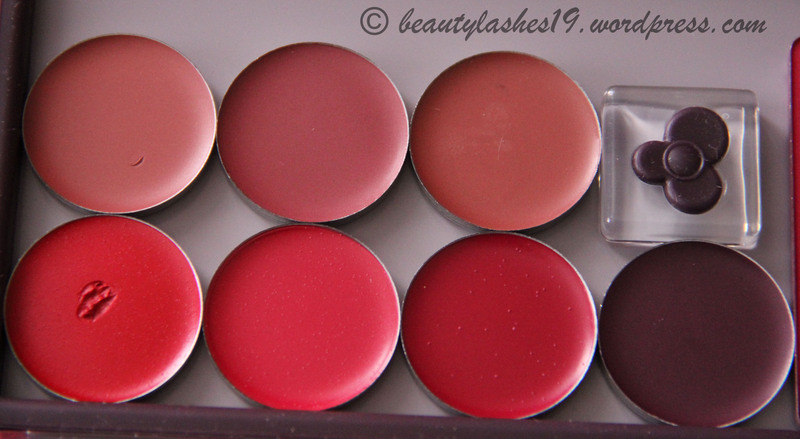 The lipsticks are creamy and are highly pigmented.. The application is really smooth and these last on the lips for a long time which can be extended with a lip primer underneath.. They last about 4-6 hours on me depending on the color of the lipstick.. 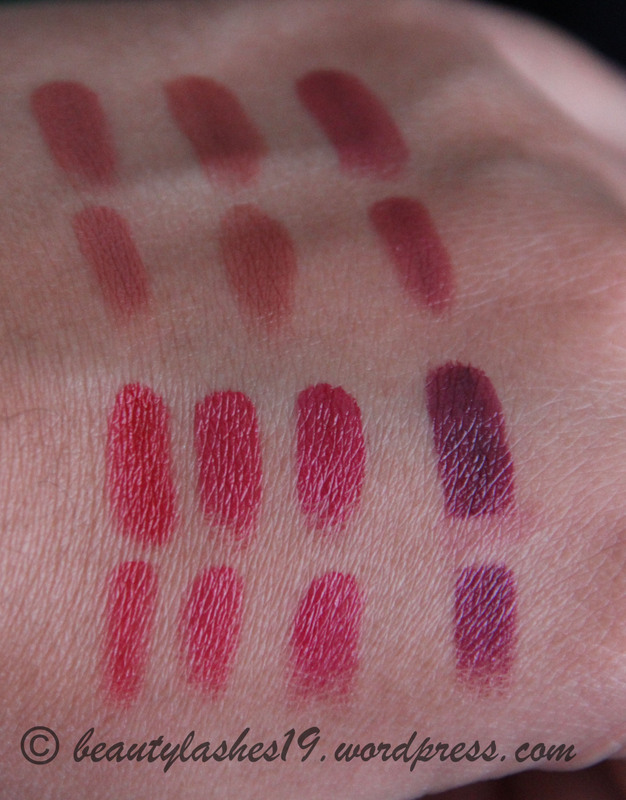 In general, the darker colors tend to last longer and almost leave a stain on the lips.. These colors mask my pigmented lips very well.. Overall, very happy with my purchase.. The only drawback I see others talking about is carrying one of them to work.. I just saved some of the plastic cases these came in and use those to carry one or two of these for retouch.. I use the Sigma L05 lip brush to apply these..
P.S. Please bear in mind that the color might show up differently on different skintones, esp considering the pigmentation on one’s lips..